Centene interns talk about their experiences, what they learned and how much they accomplished. This is a great opportunity if you’re working toward a Master of Business Administration (MBA), Master of Public Health (MPH), or Master of Health Administration (MHA) degree. Executive Immersion is a 3-year accelerated development program designed to fast-track future leaders with the ambition and passion for serving more members with high-quality, low cost care and shaping the future of the health care industry. Offering three tracks – clinical, IT and general leadership – participants will develop a strong foundational understanding of the managed health care industry and amass skills and critical leadership capabilities. Through carefully selected assignment rotations, participants can expect to work directly with senior leaders on high-impact and transformational business initiatives. Accepting applications year-round. If you’re ready for more than a job, you’re ready for Centene. We’ll help you build a career around caring for others, ambitiously developing your own skills, and bringing innovative thinking to every project. At Centene, we take the lead in challenging ourselves and the world around us to be better. And the continuous growth of our people is a top business priority. 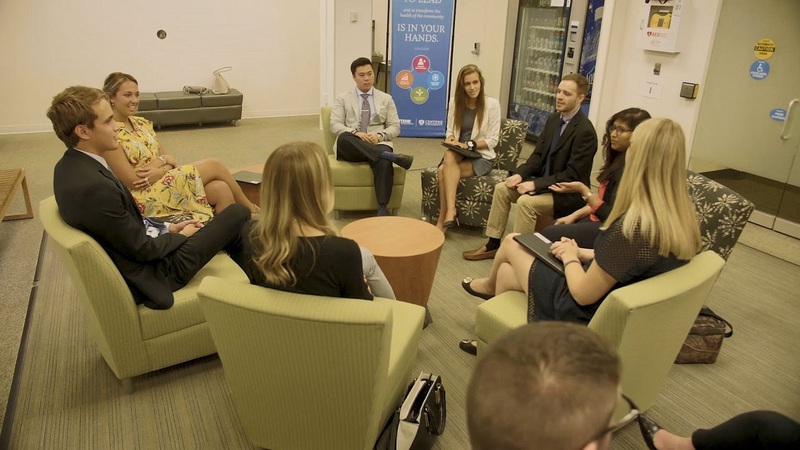 Centene University provides multiple avenues for employees to explore learning opportunities to develop and grow themselves and their careers with Centene. Learning is offered through multiple mediums, including on-the-job development, online learning, and experiential learning programs. At Centene, we believe every individual is a leader and is empowered to lead from wherever we are, whether you directly or indirectly serve our member. To continuously strengthen our leadership capabilities, Centene University is proud to deliver APEX, our business-led leadership development program. APEX is an annual program for all employees, aligned to key business objectives, and is designed to deliver interactive experiences that enable all employees to learn new concepts to make an immediate impact.